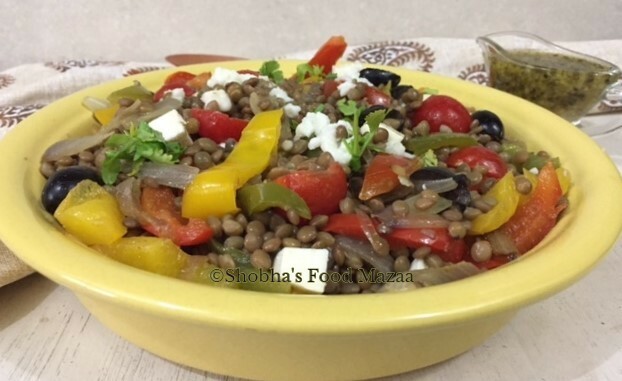 An absolutely delicious and super healthy Greek style lentil salad with feta cheese and fresh and vibrant vegetables.. can be eaten as a snack or light meal.The dressing in Greek salads is always very simple.. just olive oil, red wine vinegar, garlic. I like to use herb infused olive oil. You can toss in some fresh herbs like oregano, dill or parsley for Heavenly flavours. Feta cheese ......... crumbled for topping. 1. Boil the soaked lentils with a little salt. Drain them and set aside. Take care not to make them mushy. Let them cool. 2. Bell pepper strips can be used raw or you can saute them, bake them or roast them with a drizzle of olive oil. 3. Now take all the vegetables. olives. fresh herbs and lentils in a large bowl. 4. Stir the prepared dressing carefully. 5. Top it with crumbled Feta cheese and freshly crushed black pepper. This looks really interesting. I see something similar sold here in small packs which people eat cold as a snack. Which lentils would you recommend? Puy or whole masoor? Whole masoor will be better. 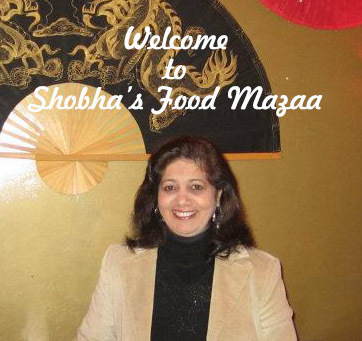 Thanks for liking the dish. 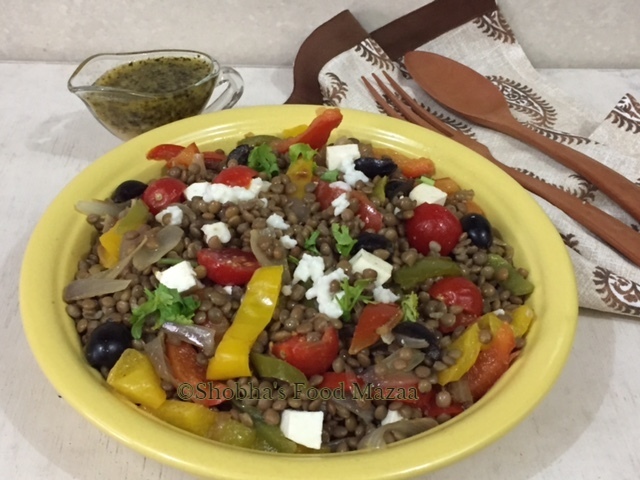 Love this salad because it has lentils and feta. A wholesome healthy meal. Yes, and it is quite filling too. This is one of my fav salads, very healthy and delicious and protein packed. Yes Nayna.. very healthy one. We love it too.